How do I login to this application? How do I export my contacts data? I have exported my contacts data in vCard format. 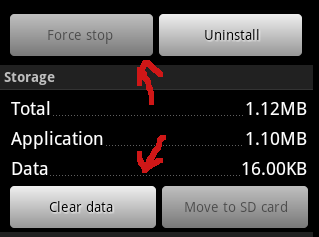 How do I import this data onto my smartphone ? I have exported my backup data in spreadsheet format. How do I view this data ? How do I obtain this app? How do I register myself with the application? Which Email ID and password should I use while signing up? 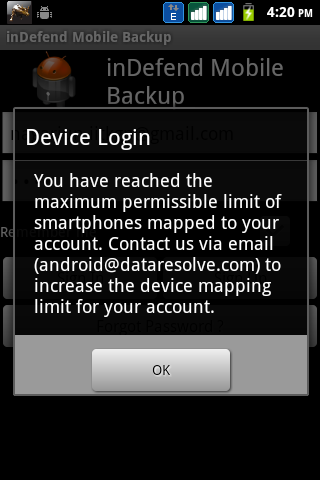 Is there a limit to the number of smartphones I can link with my account ? Why don't I find any activation email in my inbox after submitting a sign up request ? How much Backup data can I store? How safe is my backup data? Do I need an internet connection to backup and restore data? How much time does it take for a backup operation to complete? Does backup happen in the background ? Sometimes the backup operation takes a long time to complete. What should I do ? Some of my backup states are not visible. What is the reason for this ? I have moved to a different Android smartphone. Can I access the backup states from my previous smartphone? How much time does it take for a restore operation to complete ? What is the cost of downloading and installing the application? Can backup be done by the device automatically, incase I forget to do so? 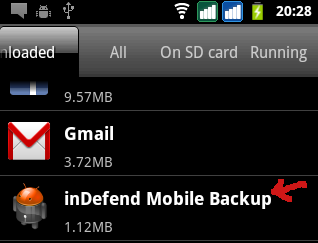 You can login to inDefend Mobile Backup - Desktop Agent using the same credentials (email ID and password) that you have used with inDefend Mobile Backup for Android. No additional information is needed. 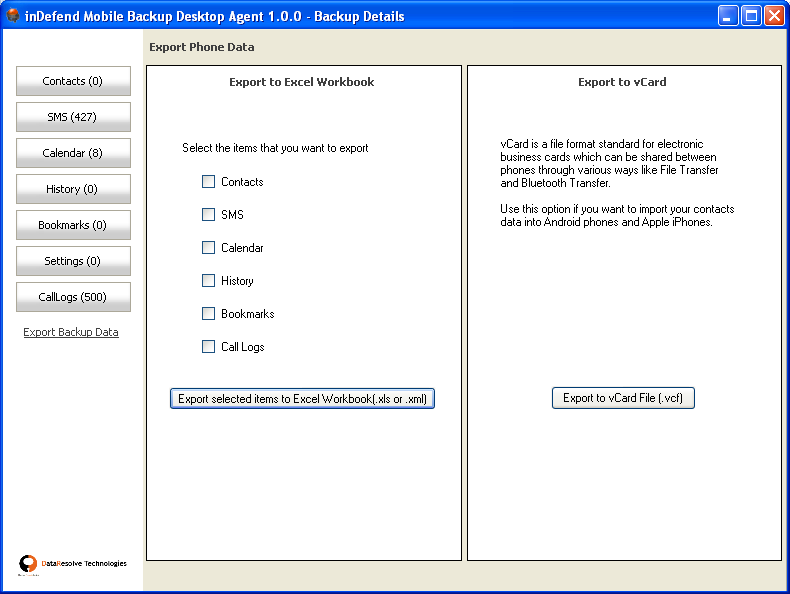 Backup data can be exported by going to the Export Data tab on the Backup Details screen. If you just want to keep a copy of all your contacts data, you can export it to a spreadsheet (XLS or XML) by clicking on "Export Selected Items To Excel Workbook (.xls or .xml)". You can later view this spreadsheet from any spreadsheet viewer software, e.g. Microsoft Excel or OpenOffice Calc. 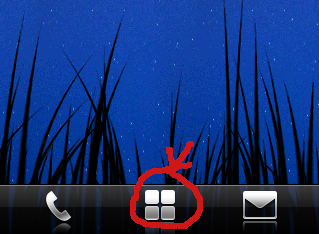 If you want to import your contacts onto another smartphone, then click on "Export to vCard File (.vcf)" button. Using vCard format, you can import your contacts to your email account or any smartphone (Android, iPhone, Blackberry or Windows). Copy the vCard file to your smartphone's SD card. 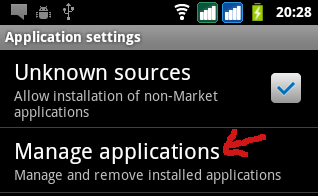 Once the vCard file is present on the SD card, open your smartphone's file manager application. Select the vCard file to import the contacts onto your smartphone. On a web browser, open any email account that you also use on your smartphone. For a Gmail account, click on Mail on the top left corner of your Gmail page, then choose Contacts from the drop-down list. Upload the vCard file that you have obtained via the Desktop Agent. Once your contacts are imported to your email account, you can sync your contacts to your smartphone from your email account. 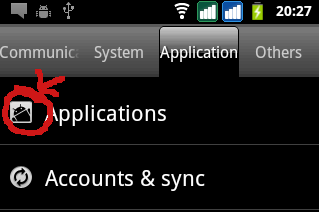 For Blackberry smartphones, you can use Google Sync for Blackberry. For Windows phones, you can use Google Sync for Windows Mobile. 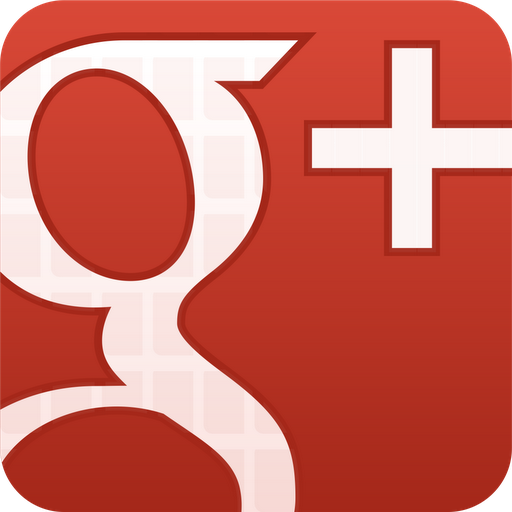 Similar procedure can be followed by users having non-Gmail email accounts. After exporting your data in spreadsheet format, you can view this data by using any spreadsheet viewer software, e.g. Microsoft Excel or OpenOffice Calc. NOTE: On saving the data as a .XLS file on opening in Microsoft Excel, you might see a warning that the file type is invalid. This is a harmless message and can simply be ignored. You can get our app directly from the Google Play Store. However, if you see messages saying that this app is incompatible with your device, you can try downloading the app from our website by clicking here. Please note that the incompatibility of this app with your device suggests that all the features of our app might not work with 100% accuracy. 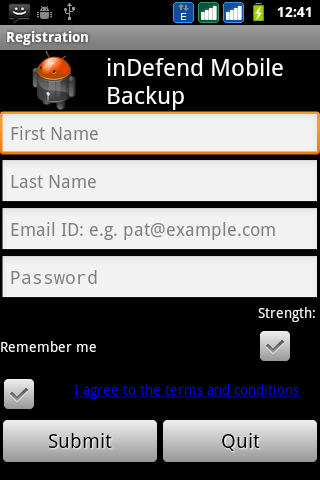 After installing inDefend Mobile Backup on your android phone, the very first page will give you a sign up option. You can sign up by following the usual procedure of filling in the necessary details. Once you are registered on the system, you can sign in any number of times using the registered email ID and password. You can sign up using any valid email address while signing up following which a verification mail will be sent to the same confirming the device. The password can be entered at your own discretion. It need not be the password to the email account entered above. 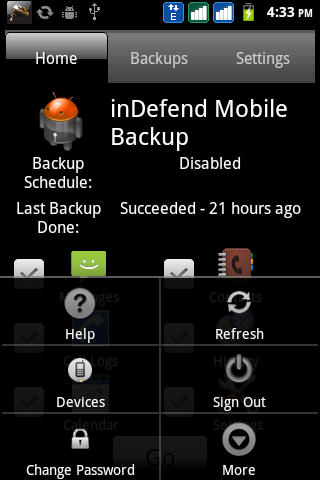 Yes, the free version of inDefend Mobile Backup allows each user to use his / her account with at most two Android smartphones. To link an existing inDefend Mobile Backup account with more smartphones, you need to contact us via email to know more about how to get your device mapping limit increased. It is possible that the email might have reached your spam folder. Check the spam folder of your email account to find the activation email and click on the activation link given in the email to proceed. 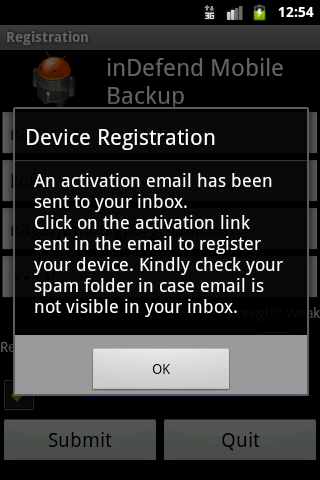 Once you have opened the email, you can also mark the activation email as "not spam". This will ensure that future email notifications from our server (for backups, password resets, etc) will go to your inbox. There is no limit to the amount of backup data that can be stored. However , the latest 10 backup states can be stored per device. The backup data is encrypted and stored on the server and hence it is resistant to corruption from external source. Yes, to backup and restore data to and from the cloud server all you need is a basic internet connection. - The number of items chosen for backup. 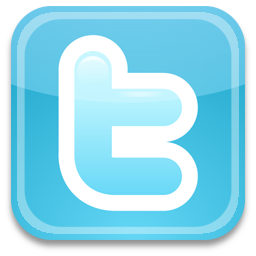 Results from some users have indicated that a full backup operation (i.e. messages, contacts, call logs, settings, calendar and browser history) took close to 4 minutes over a Wifi connection. This phone had 300 contacts. Contacts backup takes the most amount of time out of the entire operation, so backup time is proportional to the total number of contacts on the phone. Yes, backup operation happens in the background so you are free to navigate to other screens, or to other apps once the backup is triggered. 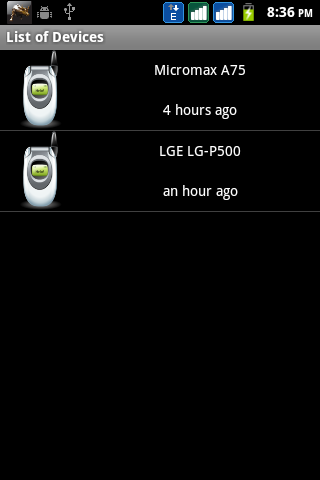 A notification is shown on the status bar while the backup is progressing. On completion, an appropriate message is shown on the UI to the user. As indicated here, the time for a backup operation to complete depends on the total amount of data on your smartphone, especially the total number of contacts. For example, it can take upto 20 minutes for a backup to complete, for a user with 2000 contacts on his / her smartphone. If you expect your contact set to be big, then you should leave your backup operation to be running in the background. The app constantly keeps in sync with our online servers to show the list of latest completed backup states for your phone. Occasionally, it takes some time for the list of backup states to get updated. 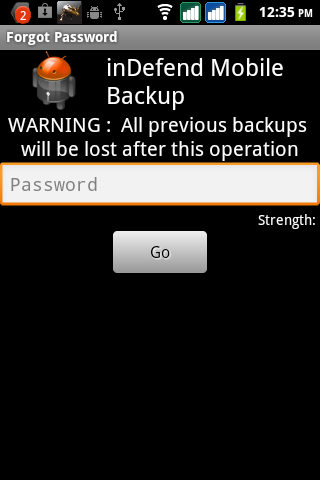 Hence, some backup states do not show up immediately on the backup screen after completion of a backup operation. Additionally, in case a backup operation gets aborted in the middle, due to loss of internet connectivity (or a phone powerdown for instance), our server marks the backup operation as incomplete, and hence is not shown on the backup screen. Yes, this is possible. You can access all the smartphones mapped to your inDefend Mobile Backup account by choosing the "Devices" option from your main menu. Users can access backup states of different smartphones mapped to their accounts by choosing the appropriate smartphone from the "devices list" screen. - The number of items chosen for restore. 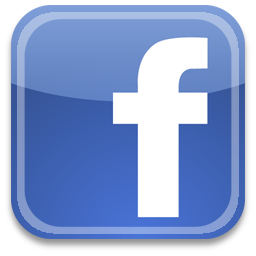 Results from some users have indicated that a full restore operation (i.e. messages, contacts, call logs, settings, calendar and browser history) took close to 10 minutes over a Wifi connection. This phone had 300 contacts. Restoration takes more time than backup as data integrity checks needs to be performed when data is written back to the phone storage. The application can be downloaded from android marketplace and installed on your phone free of cost. 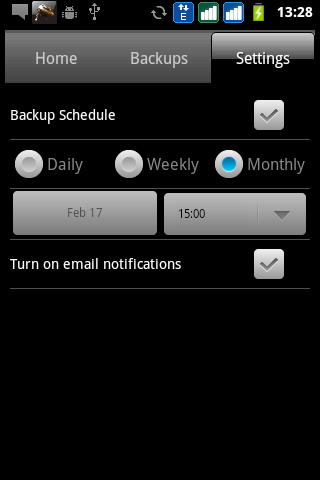 Yes, there is an option of Backup schedule, enabling which allows you to set a time when the backup can be done. This process will continue periodically even when you forget to do so. If you forget your password, it can be reset by clicking on the activation link sent on the email address which is registered with the system. When the password is reset all previous backup states will be removed from the server.